ay I suggest a little eye candy and a very interesting story? 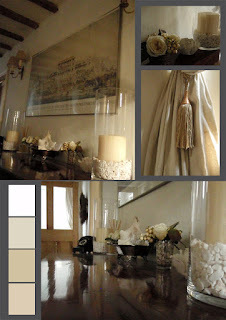 My friend Glenda at The Paper Mulberry has the most beautiful blog. 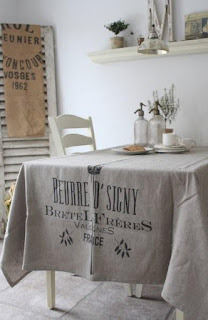 This post on natural table settings is gorgeous. 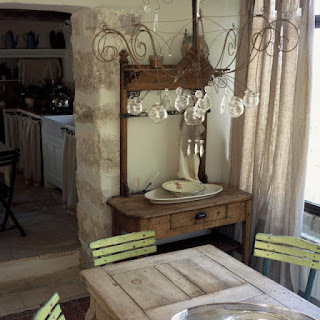 It has all of our favorite things, English, old, worn, reused, renewed, whites, linen, farmhouse, and an eye for photography that will take your breath away. You will be clicking all of the archives, I just know it. Glenda and her family live in an Elizabethan era farmhouse, yes that's right from the 1500's. Her story about the house is fascinating. Thank you Glenda, for sharing your amazing home and for the all the other lovely posts that inspire. Love the patina on that wood table. Glenda, it was my pleasure...I hope my readers will visit your site and become as inspired as I did! Happy day. Oooh! A new blog! Thank you! I am a follower of Glenda at the Paper Mulberry. She is of my favourite bloggers. She has exquisite taste and also is a delightful woman. I love your blog too and I am your newest follower and look forward to reading your posts.